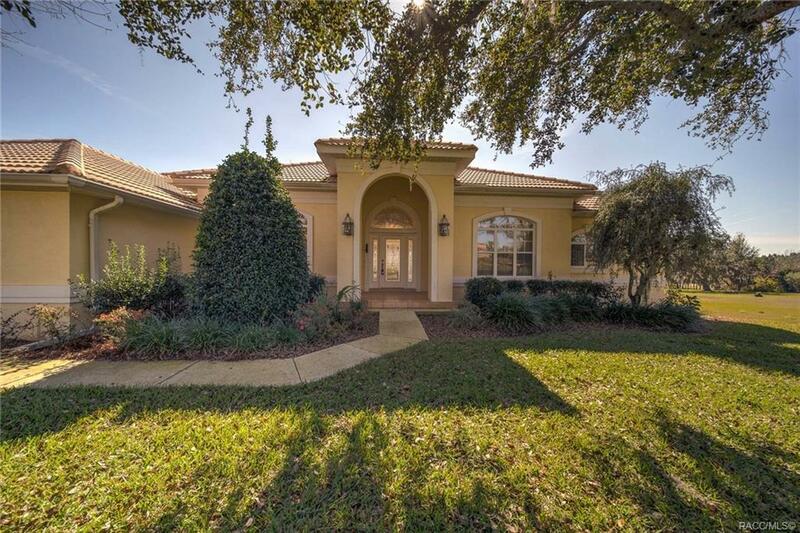 This stately home sits on 1+ acre in Terra Vista. The nicely appointed kitchen has lots of cabinets, double ovens and hard surface counters with eat-in breakfast room. The large LR & formal DR are great for entertaining. There are 2 large bedrooms & 2 office/dens that can easily sleep more company. The enclosed lanai & open patio overlook the lush green hills & Skyview Golf course. 2 car garage completes the package. Directions: 486 To 2400 Terra Vista Blvd Gate- Stay On Blvd To Round-About, Go Left On Fenway To Home On Right.